CIGREF, in partnership with Softcorner (Startup incubated by the Paris Dauphine University and Telecom Sud-Paris) has chosen to explore the emerging topic of the secondary software market in Europe, and more particularly in France. Indeed, large companies have been subject to a growing number of licencing audits from software editors for years. While companies tend to consider these audits to be legitimate, software vendors’ practices are often seen as agressive, or as a starting point for commercial bargaining. 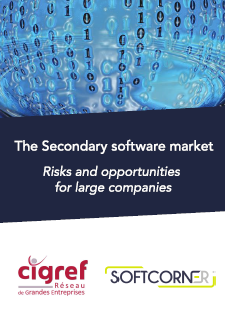 Through this new White Paper, CIGREF and Softcorner wanted to clarify the secondary market, explaining what second-half software is, exploring the applicable legal european framework, outlining the buying and selling procedures through practical examples, and concluding on the impact that this market evolution could have for the players of the ecosystem.